Attackease, Software transient shaper from SKnote. 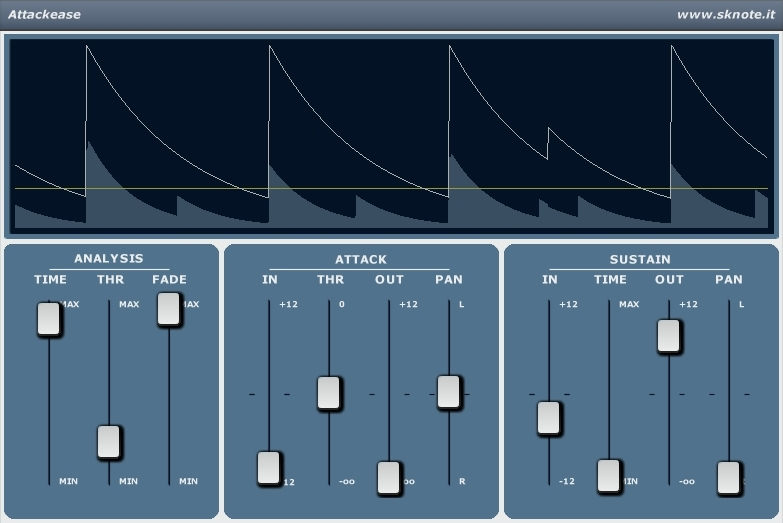 SKnote has announced the release of Attackease, a new VST effect plug-in for Windows. Attackease is designed to take an audio input (i.e. a drum mic track) and separate the incoming audio into two tracks, attack and sustain, with selectable threshold and time constants. Attack and sustain can be processed separately and then re-combined. Internal compressors for attack and sustain are included. Really different from a compressor, any external processor can be used to further process attack and sustain. The plug-in can trigger MIDI notes on attack (with selectable channel and note number). 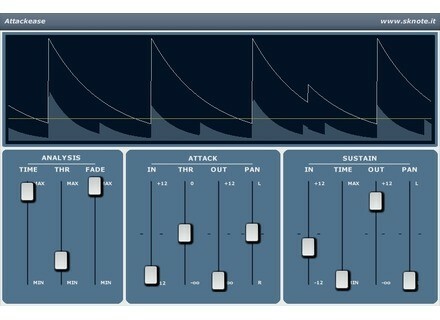 Priced at €129 (+tax, where applicable), Attackease is available now as a VST effect plug-in for Windows. QuikQuak UpStereo v2 Mac Beta QuikQuak has released the Mac OS X VST version of UpStereo v2.0 beta. MeldaProduction MDrummer Update MeldaProduction has updated MDrummer to v2.13.